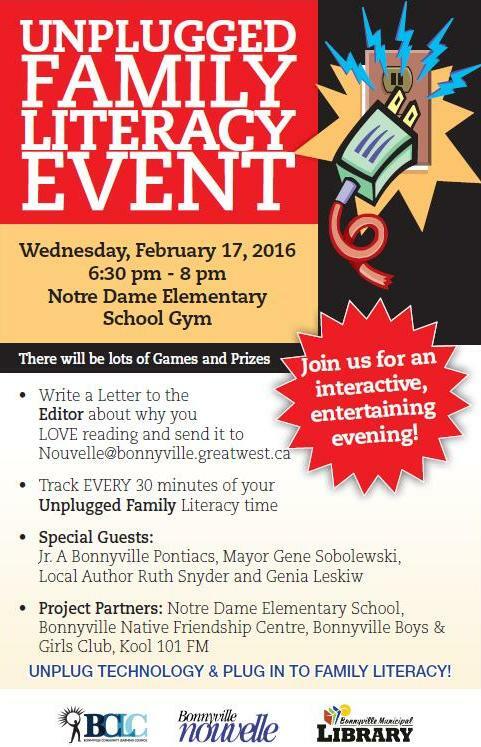 Our 2016 Unplugged Family Literacy Event runs February 17, 6:30-8pm in Bonnyville. Bring your family out for a fun night of games and prizes. If you have English as a second language and want to improve your English skills, come by our office to register for this class. Bonnyville Provincial Building, upstairs. 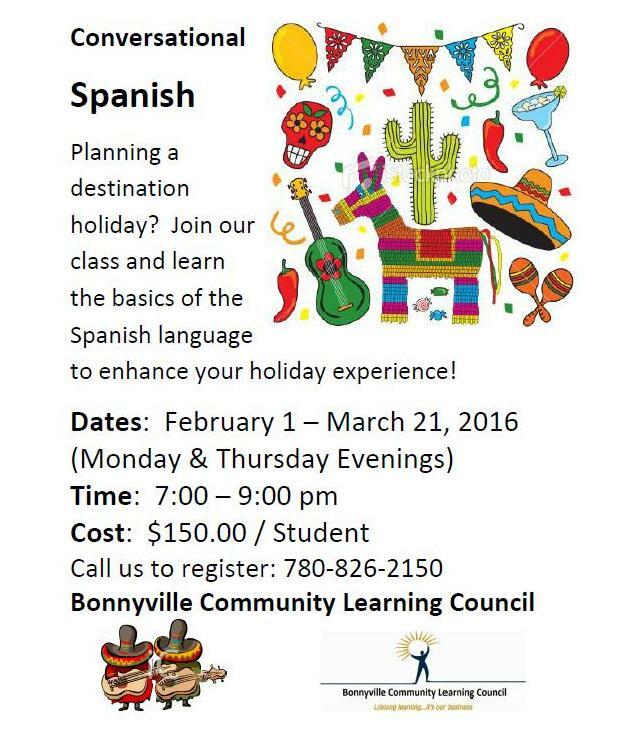 We are pleased to offer Conversational Spanish again, new session begins February 1, 2016. Call us today to register, 780-826-2150. Need help budgeting? Want to make your money stretch farther? 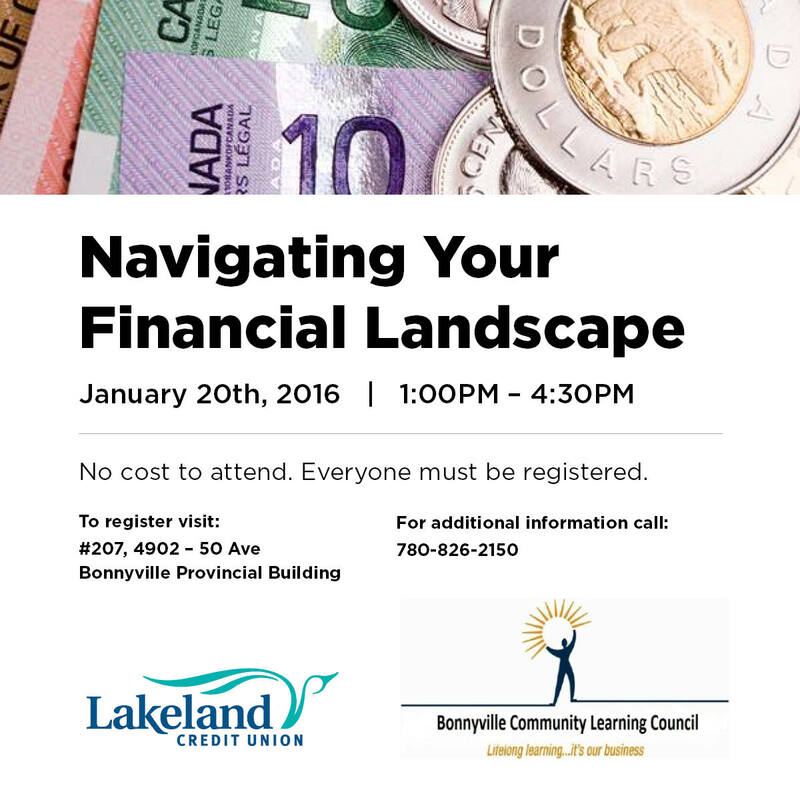 Join us for this educational presentation and learn how to be an effective money-manager. Free, but call 780-826-2150 to register. Take some time on Tuesday’s over your lunch hour to reduce stress and improve your fitness. 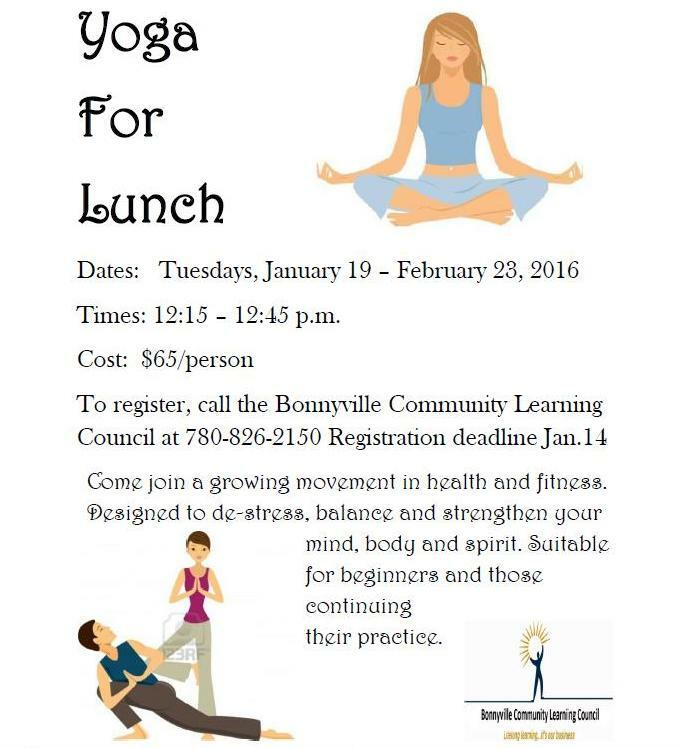 Call us for our Yoga For Lunch series, 780-826-2150. 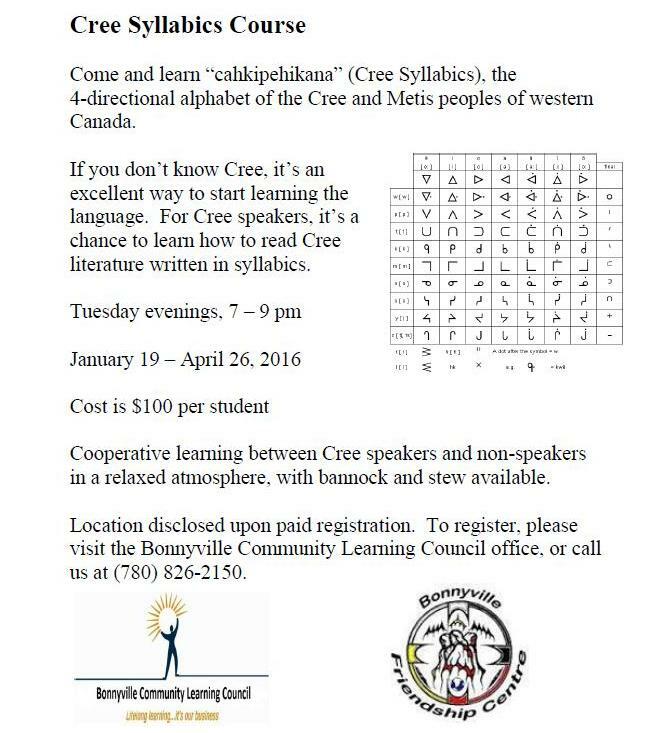 Learn how to speak Cree, or for Cree-speakers, learn how to read Cree literature written in syllabics. 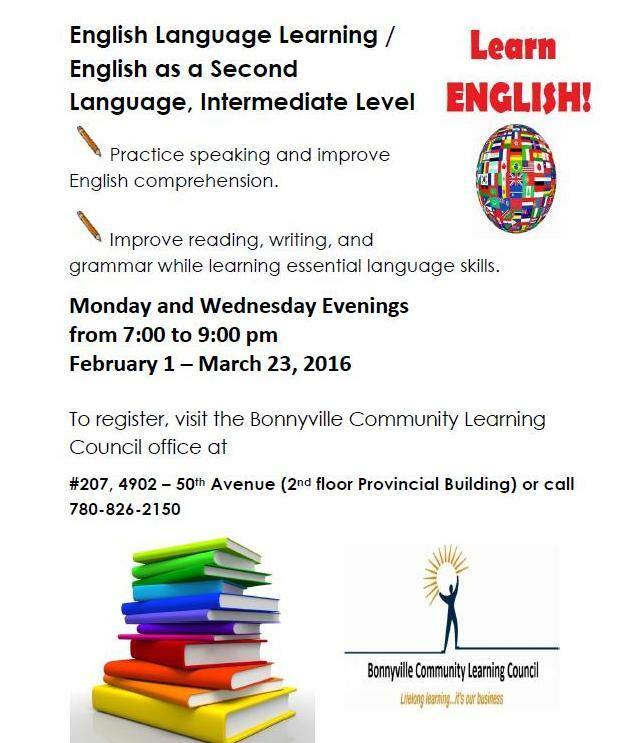 Call us at 780-826-2150 to get in on this NEW course. Our last session of French classes went so well that we are doing it again. 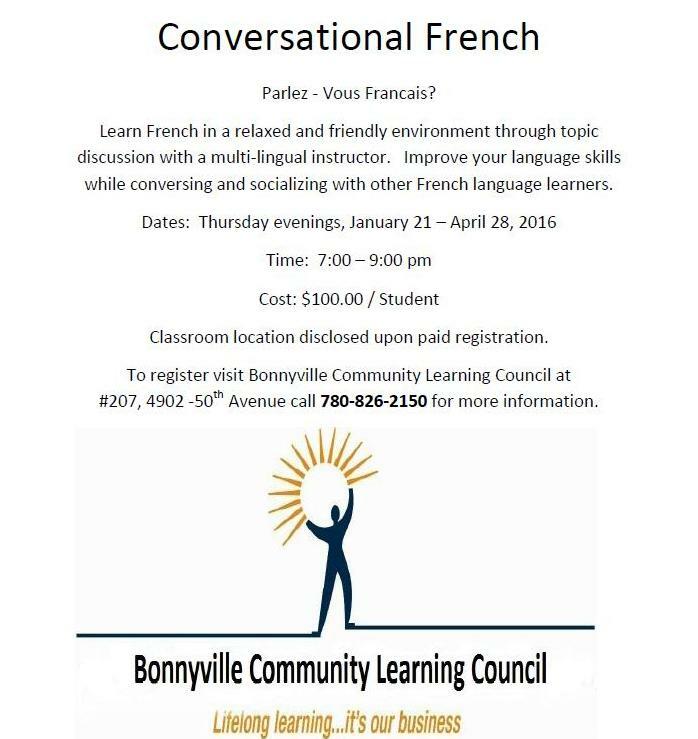 Call us at 780-826-2150 to sign up for Conversational French. Classes begin January 21, 2016.